Love it or loathe it, Valentine’s Day is hard to avoid. As the 14th February approaches, advertisers bombard us with hearts and flowers, telling us to spoil our loved ones and show them how much they mean to us. Whilst this may grate on single people, or those cynical about what is an increasingly commercial event, this time of year provides an opportunity to show all of your employees that they are loved and appreciated by your business. Sure, Valentine’s Day is traditionally associated with romantic love, but your workforce is one of your most valuable assets and there’s no harm in taking the time to show them that you care. 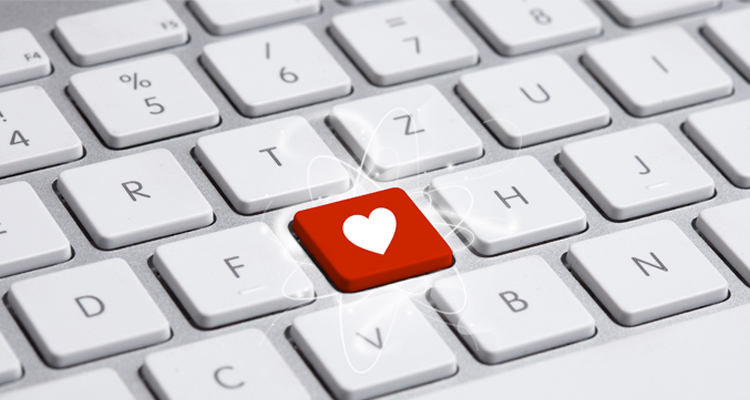 Here are some ways to ensure your reward and recognition programme is showing the love. A survey of nearly 2,000 employees commissioned by Xexec last year revealed that annual leave was the most popular work-related award; it was picked by 43% of people surveyed as the work-related benefit that would make them feel most loved at work. Giving people additional time to spend with their loved ones around Valentine’s Day is therefore likely to be a greatly appreciated gesture. An effective reward and recognition programme should be designed to have maximum impact, so it really pays to know which rewards will be popular. Love can take many forms and there is a risk that celebrations such as Valentine’s Day can alienate people whose lives do not fit the stereotypical version of romance: the image of one man and one woman, or of the ‘nuclear family’, so often over-represented in the media. Your workforce is made up of unique individuals and it is important that your reward and recognition programme reflects this, offering something that caters for all. Take some time to review it in its current form and assess how inclusive it feels. Do you offer benefits that are appropriate and relevant to LGBT staff, to single people, or childless couples? A recent UK study of 25,000 workers found that two thirds of childless women aged 28 to 40 felt that they were expected to work longer hours – something that is likely to fuel resentment and impact morale. Making sure that your rewards programme isn’t biased towards employees with traditional ‘nuclear’ families is a great way to avoid this and help often under-represented people feel that their lives are also recognised and equally valued by the business. We are not talking about encouraging office romances here, but instead helping people to follow their passions outside of their roles. A fulfilled workforce is far more likely to be motivated and engaged, and so supporting people in their other interests and hobbies can benefit you as well as them. Reward and recognition programs should cater to people’s diverse interests – after all, personalisation can have a real impact on employee retention. Find out what they get up at weekends. Encourage them to finally learn that language, or take the life drawing class they’ve always been tempted by. And then offer financial or practical support to help enable it. This may mean introducing flexible working to allow staff to leave early to go to an evening class, or even arranging lunchtime classes in-house if there is sufficient demand. Inviting staff to share news of their achievements outside of work will also help to spread the message that you do not see them as one-dimensional commodities, but as valued individuals. Years of austerity have left many people struggling to cope, and this has led to an increasing burden on the charities set up to support them. It is likely that you won’t have to look very far to find a charity near to your business offering help to the local community – and now is a great time to share the love outside of your organisation by offering them some support. This may involve giving people an afternoon off to volunteer, or making a donation to a different charity each month. Ask staff to nominate a charity or cause close to their hearts: engaging employees in the process of charitable giving ensures that everyone gets to benefit from the feeling of having made a difference. Whilst Valentine’s Day focuses our attention on love, your staff should feel valued and appreciated all year round. Our survey found that the timing of rewards is important: employees want to receive them spontaneously and for good work (47% and 38% respectively) rather than for traditional calendar events such as birthdays (10%) and Christmas (5%). This does not need to be an expensive process; public recognition was singled out by 15% of employees surveyed as a highly-valued reward. So simply saying ‘thank you’ and ‘well done’, and providing visibility of people’s achievements can have a real impact and make employees feel special. Love it or loath it, Valentine’s Day provides a useful reminder that all relationships – even professional ones – need nurturing.